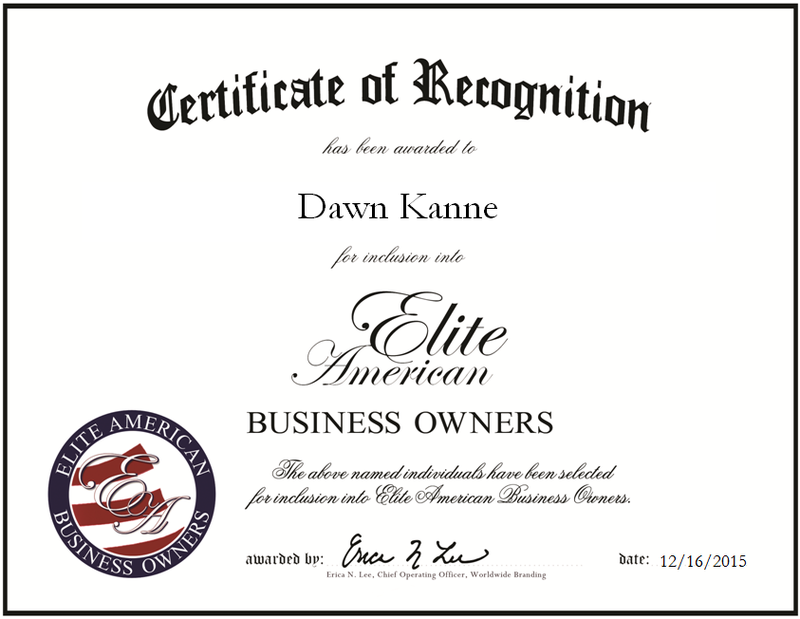 Omaha, NE, December 16, 2015, Dawn Kanne, Owner of Dawn’s Designs, has been recognized by Elite American Business Owners for dedication, achievement and leadership in interior design. Armed with a passion for colors, decorating and design, and an associate degree in interior design from Metropolitan Community College, Dawn Kanne opened Dawn’s Designs, an interior design firm offering commercial and residential interior design services. After spending the first part of her career at Sherwin Williams, Ms. Kanne considers her 10 years with Dawn’s Designs to be a dream come true. She is responsible for providing interior design, remodeling and space planning, and attributes her ongoing success to her client relationships and networking skills. In addition to her involvement with Dawn’s Designs, Ms. Kanne recently opened an art gallery known as The Hearts of the City. Ms. Kanne is affiliated with the American Society of Interior Designers and the Sheltering Tree, and in college, she was inducted into The Phi Beta Kappa Society, which is the oldest honor society for the liberal arts and sciences. This entry was posted in Interior Design and tagged American Society of Interior Designers, commercial and residential, decorating, design, remodeling, Sheltering Tree, space planning, The Hearts of the City. Bookmark the permalink.